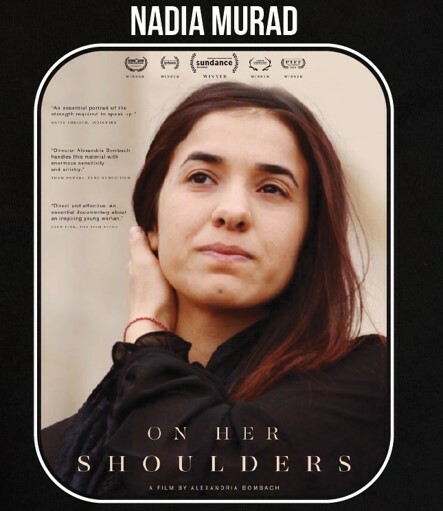 In honor of 70 years of the Universal Declaration of Human Rights, the Harvard FXB Center for Health and Human Rights and the Harvard Humanitarian Initiative (HHI) invite you to a film screening of “On Her Shoulders” which explores the activism of 2018 Nobel Peace Prize winner Nadia Murad. The film follows the life and activism of Nadia Murad who was awarded the Nobel Peace Prize this year, just after she received the Weintz Humanitarian award from HHI. Brief remarks and a reception in the FXB Atrium will follow the screening. Read an interview with HHI’s Michael Van Rooyen about Murad and her fellow Nobel Peace Prize winner, Denis Mukwege.